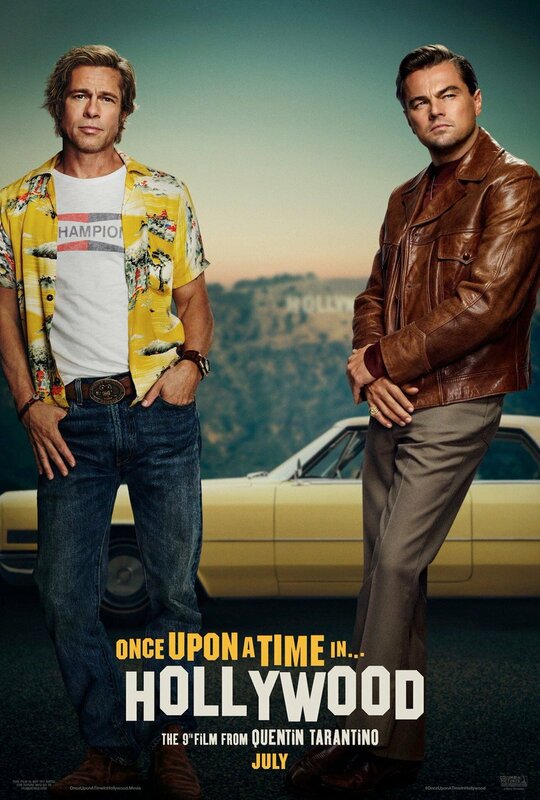 Quentin Tarantino's latest film is set in the late sixties and focuses on Charles Manson victim Sharon Tate's (Margot Robbie) next door neighbor, fictional TV actor Rick Dalton (Leonardo DiCaprio) and his stunt double, Cliff Booth (Brad Pitt). Though both DiCaprio and Pitt have worked with Tarantino before, this will be the first time the two mega-stars will share the screen. While Dalton and Booth's odyssey will undoubtedly serve as the focus of the film, Tarantino has gone on record saying this is the closest thing he's done to Pulp Fiction since that breakout film of his twenty-five years ago. Naturally, this leads one to believe Once Upon a Time in...Hollywood will have the kind of sprawling narrative and ensemble cast of characters that film sported. Set in Hollywood in, more specifically, 1969 this teaser trailer sets up DiCaprio‘s aging Western star as he's trying to find his place in a changing Hollywood landscape alongside his trusty stunt double Booth. The year is critical though as it is the year of Tate's tragic murder at the hands of the Manson Family cult. While early reports said Tarantino's script isn’t focused on the Manson murders, it will remain intriguing to see just how integral Robbie's role as well as Manson's is in the film, but while DiCaprio seems to be having a good 'ole time here, it can't help but feel like Pitt is going to steal this show simply from the minimal amount of footage we get here. Speaking of a sprawling ensemble cast, Once Upon a Time in … Hollywood also stars Al Pacino, Timothy Olyphant, Scoot McNairy, Damian Lewis, Luke Perry, Dakota Fanning, James Marsden, Clifton Collins, Keith Jefferson, Emile Hirsch, Tim Roth, Michael Madsen, Danny Strong, Sydney Sweeney, Clu Gulager, James Landry Hébert, Mikey Madison, Lena Dunham, Maya Hawke, Nicholas Hammond, and opens in theaters on July 26th, 2019.